When you escape the madness that your relationship has become, whether you are gone for the rest of your life or for twenty minutes, you have an opportunity to do something that can set the course of your life from that point on. You can calibrate your moral compass. Moral compasses need calibrating just like ordinary ones do. Take a perfectly functional compass and put it in a room with an electromagnet and it’ll forget which way is north. It’ll point to the electromagnet because the electromagnet is exerting a force that it cannot ignore, far more powerful than that exercised by the distant North Magnetic Pole. Every problematic relationship exerts a force every bit as compelling on your moral compass as that electromagnet on an ordinary compass. It’ll alter your attitude, change your course, and make you forget yourself and your values. You can’t do anything without checking with the relationship first. You must get free of that interference in order to calibrate your compass. What this means is that, for the moral compass to work properly, you must forget the needs and requirements of the relationship for as long as it takes to connect with yourself and recognize what is important. It means escape. It means that, if you have lost yourself, you try to find yourself. You abandon thoughts of reconciliation, at least for now, and focus on personal peace. If you’ve ever calibrated an ordinary compass, you’ll know that, for a minute or two, the needle will spin around aimlessly until it finds magnetic north. You’ll be lost if you try to use it and confused if you rely on it for direction. When people free themselves of the effects of a relationship, for a minute they feel similarly lost and confused. When they escape, they often feel as though they’ve lost their bearings. They don’t know what’s important anymore because they’ve been separated from their own values for so long and lived someone else’s. Many go back to having their lives dictated by the relationship. It’s more familiar and comfortable. To remain free of the effects of a dysfunctional relationship, it’s important to stay with the process of calibration long enough to get your bearings straight. Reconnect with your values by finding them behind your emotions, renewing your religious faith, exploring spiritual practices, writing the story of your life, clarifying where you find meaning and purpose, and reminding yourself of the things you told yourself you would never do. Listen to that still, small voice inside you, the one that had been drowned out by the bombastic cares of the relationship, and identify where it tells you to go. Your moral compass can tell you the general direction of whatever is significant to you, but it can’t tell you completely how to get there. If you want to head to a destination, you still must contend with the topographical features as you go. You can’t head straight in that direction all the time if a mountain, or a river, or an ocean gets in the way. The compass direction is one thing; the path you take is another. When you choose your path, consider whether it takes you where you want to go, to the things that you find important, either directly or the long way. If you have more than one thing you value, the perfect path will take you to all of them. If there are people you want to go with, the path should include their destinations, as well. Remember one thing. Your moral compass points to a very particular direction, but there are infinite routes that you can take you there. Insist on your values, but don’t get so hell bent on which path you take that you overlook the alternatives. Say you and your wife have been hurting each other for years. You decide to have a therapeutic separation which revealed two things to you. Once you removed yourself from the day-to-day strife, you found that you really love your wife. The second revelation was that your unhappy marriage was caused by an unhappy life. You hate your job because you feel that designing widget parts for a widget manufacturer is meaningless. So here you have two important compass readings, two values: the love for your wife and the desire for a meaningful job. With this in mind, you plot a course that takes you to both destinations. You meet with your wife and tell her that ending your marriage would not make you any happier, so you want to get back together. Then, you’d like to do something that makes a real difference to the world, like teaching math to inner city kids. You believe that if you had some meaningful work, then you wouldn’t be so grumpy when you came home. That sounds like a reasonable path, except that, meanwhile, your wife has been looking at her own compass. If you love her, you must take her values and desires into consideration. She tells you that her unhappiness was an unhappiness in the marriage. Since you began the therapeutic separation, she’s been feeling liberated of having to take care of you. She’s lost her love for you. Her compass is telling her that independence is important to her. She’s had enough of bearing the burden of your grumpiness and she’s not willing to support you anymore while you quit your job, go back to school, and take up a new career with an uncertain outcome. So, your best laid plans have come to naught. You now have the challenge of finding a path that fulfills both your dreams: to love your wife and find a meaningful career. Luckily, as I said, there are infinite paths to particular destinations. You just have to be flexible enough to use them. In this case, the best expression of love for your wife may be to give her the freedom she desires. 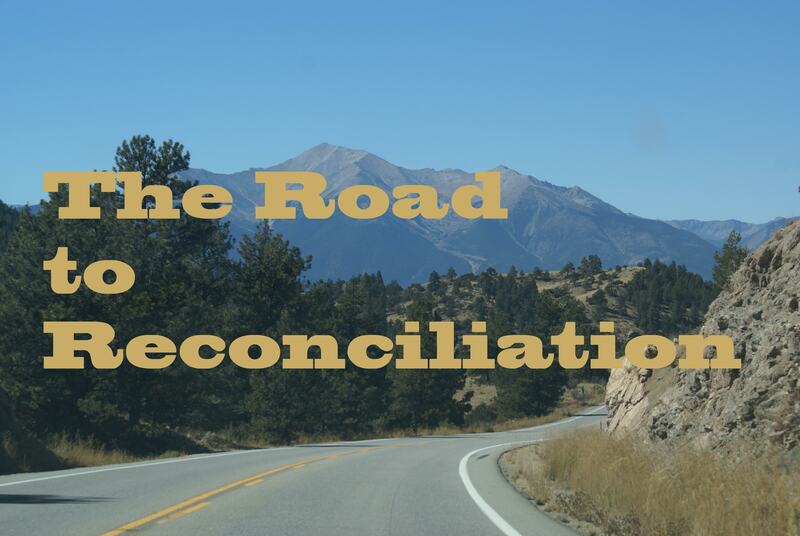 The road to reconciliation doesn’t always take you where you want to go.